When it comes to shopping for a new season, I always focus on adding key pieces, then mix-matching high and low. 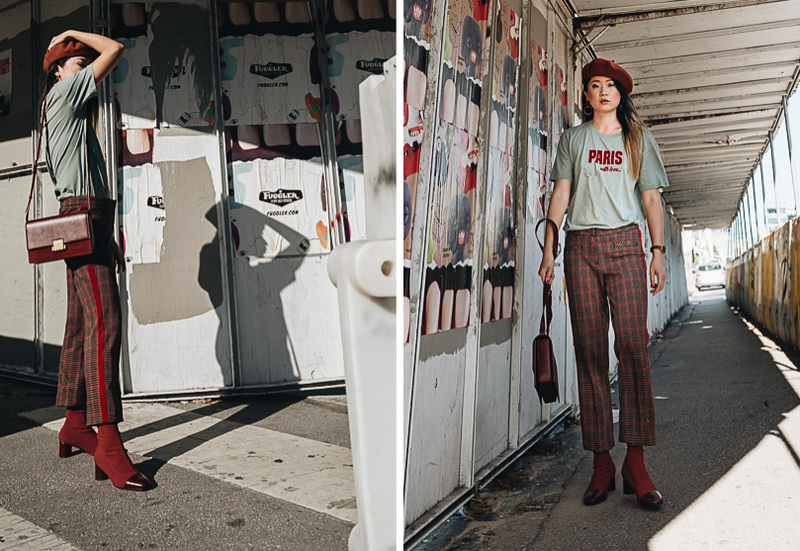 The fall pieces I can’t live without including a classic trench coat, a pair of boots that I can walk all day in, and a beret that elevates the look and keeps me warm. Once I get my staple pieces anchored, I’ll add some more items that will stay in my wardrobe for more than one season, items I could pair with my other existing pieces to create different looks, those with interesting elements reflecting trends, and those featuring colors that jibe with my current vibe. After wearing a lot of black and white over the summer, I’m really feeling colors for the upcoming seasons, especially red and green. 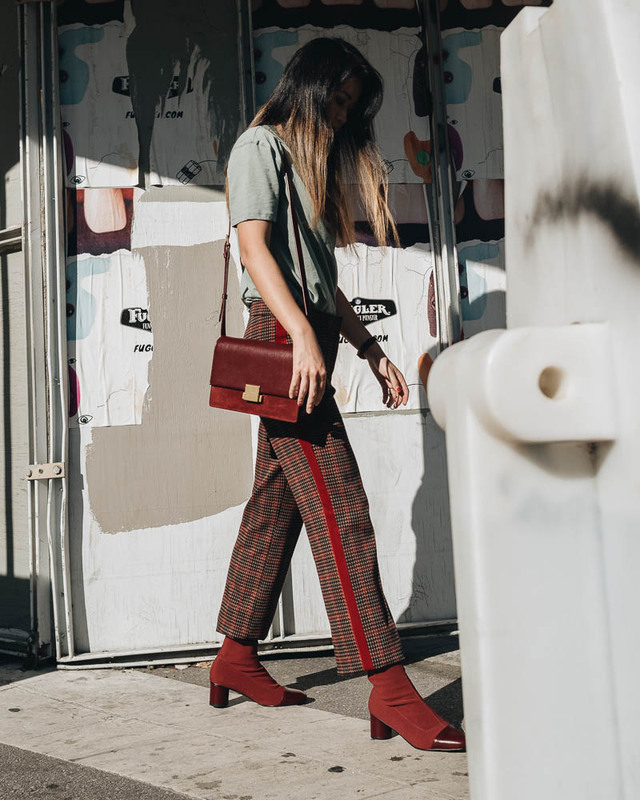 To put this fall look together, I picked a classy pair of checked wool pants with a unique pocket and side design and paired them with a faded green T with a dark red logo that matches the pants, and ankle length boots. 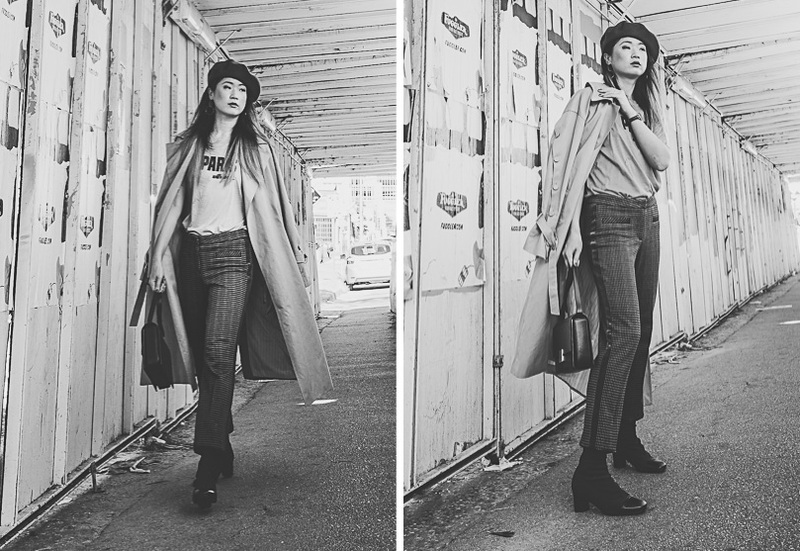 I threw on a beige trench coat and a beret to complete the look. Pair with a structured bag for an office look or use an oversized tote when running errands. When the weather gets colder, I can easily layer on a white sweater and swap the trench with a staple coat like beige or black. 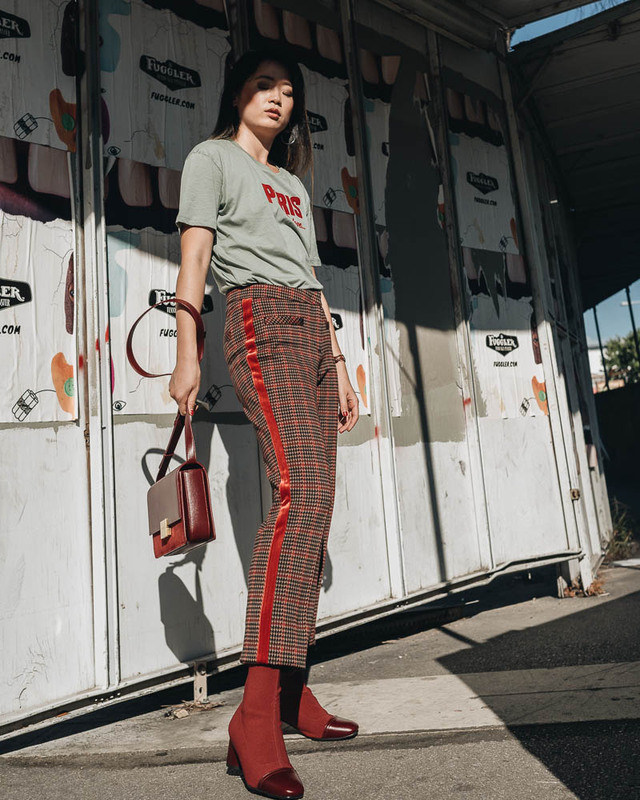 A favorite place to shop for my key seasonal pieces is Farfetch, where they have the widest range of luxury fashion pieces that are well curated. I always read their newsletter and hop on the website every now and then to browse their new collections and get inspired. Some of my favorite sections on their site are the bags and shoes. Definitely check out their Sale section, where you might find a great deal on some hidden treasures. If it’s your first time shopping there, don’t forget to take 10% off your first order or an extra 20% off sale until 8th September. You can find those coupons here to save even more.